That's it! One random commenter during this tour will win the first gift card. Visit more blogs for more chances to win--the full list of participating bloggers can be found HERE. The other two prizes will be given out via Rafflecopter. 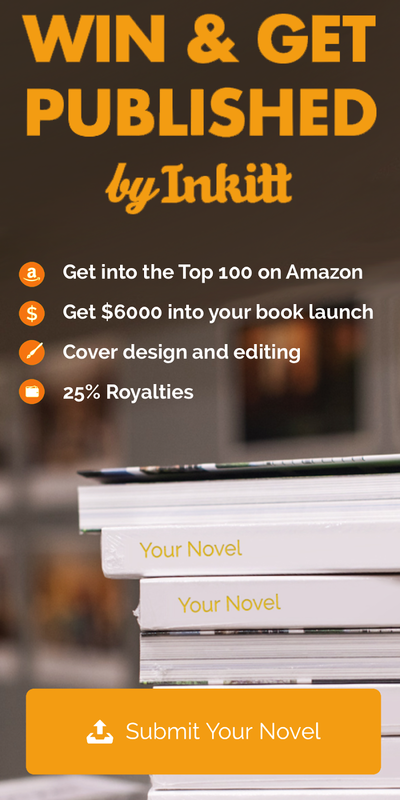 You can find the contest entry form linked below or on the official LOGOS tour page via Novel Publicity. Good luck! About the book: While novels and cinema have repeatedly sought after the historical Jesus, until now none have explored what may be a more tantalizing mystery—the Christian story’s anonymous creator. 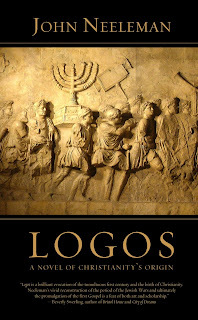 Logos is a literary bildungsroman about the man who will become the anonymous author of the original Gospel, set amid the kaleidoscopic mingling of ancient cultures. 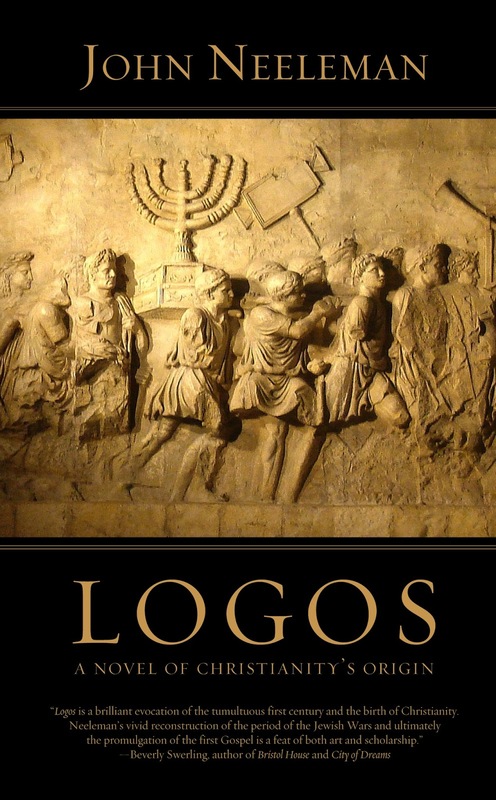 Logos is a gripping tale of adventure, a moving love story, and a novel of ideas. None of this should be regarded as out of place or incompatible in a novel about Christianity’s origin. Dissent, anarchism, and revolution—and incipient Christianity was no less these things than the Bolshevik, the French or the American revolutions—inevitably have involved ideas, adventure, and romance. In A.D. 66, Jacob is an educated and privileged Greco-Roman Jew, a Temple priest in Jerusalem, and a leader of Israel’s rebellion against Rome. When Roman soldiers murder his parents and his beloved sister disappears in a pogrom led by the Roman procurator, personal tragedy impels Jacob to seek blood and vengeance. The rebellion he helps to foment leads to more tragedy, personal and ultimately cosmic: his wife and son perish in the Romans’ siege of Jerusalem, and the Roman army destroys Jerusalem and the Temple, and finally extinguishes Israel at Masada. Jacob is expelled from his homeland, and he wanders by land and sea, bereft of all, until he arrives in Rome. He is still rebellious, and in Rome he joins other dissidents, but now plotting ironic vengeance, not by arms, but by the power of an idea. Paul of Tarsus, Josephus, the keepers of the Dead Sea Scrolls, and even Yeshua, the historical Jesus himself, play a role in Jacob’s tumultuous and mysterious fortunes. But it is the women who have loved him who help him to appreciate violence’s dire cycle.Get LOGOS through Amazon, or Barnes & Noble. 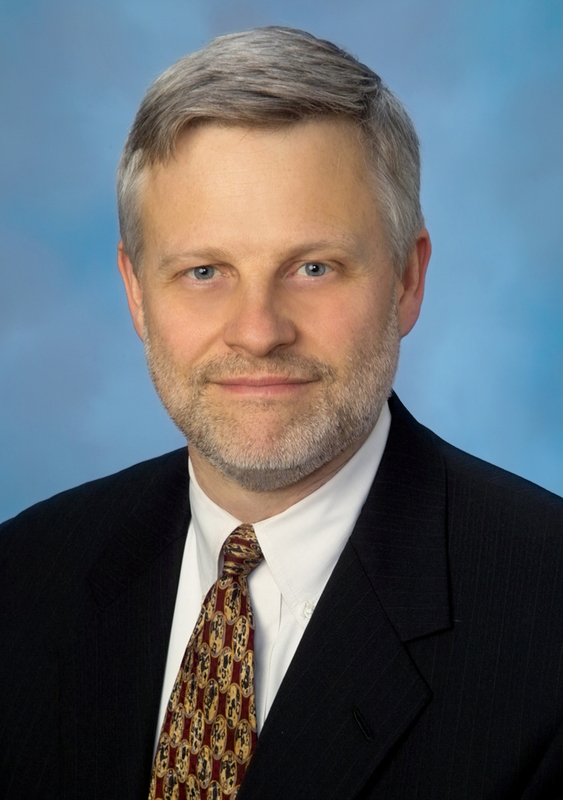 About the author: John Neeleman spends his days working as a trial lawyer in tall buildings in downtown Seattle. He lives in Seattle with his wife and children. He also represents death row inmates pro bono in Louisiana and Texas. As a novelist, his editorial model is historical fiction in a largely realistic mode, though there are hallucinatory passages that reflect Neeleman’s concern with philosophical and spiritual matters, in part a residue of his religious upbringing. He was raised as a seventh generation Mormon, and rebelled, but never outgrew his interest in metaphysical concerns. Connect with John on his publisher’s website, Facebook, Twitter,or GoodReads.. I just finished reading "Logos" by John Neeleman and it was the kind of book that makes you stop and think while you are reading it. Jacob is a Greco-Roman, a leader in a rebellion and a Temple priest. After his parents are both killed he wants revenge. This only is the beginning of horror when his wife and son are also killed. Jacob is then thrown out of his home and wanders until he gets to Rome. Now he wants to fight with his thoughts, not physically. There are a lot of people who help him through his thoughts and his life. I give this book a 4/5. I was given this book for the purpose of a review and all opinions are mine. This book really has me intrigued. I know that I have to read Logos. I put it on the top of my must read list. Thank you Deal for bring this post.